Since the end of the Cold War NATO has redefined its raison d’etre, extending its membership, broadening its political goals and widening its zone of operation. It has also sought to enhance its co-operation with Russia, for example through the NATO-Russia Council, though moves here have coincided with factors which make co-operation more difficult, such as growing uncertainty about the transition to democracy in Russia, a feeling among some people in Russia that NATO enlargement and the simultaneous diminution of Russia’s influence were related, and, more recently, Russia’s attempts to reassert its influence over its neighbouring states. 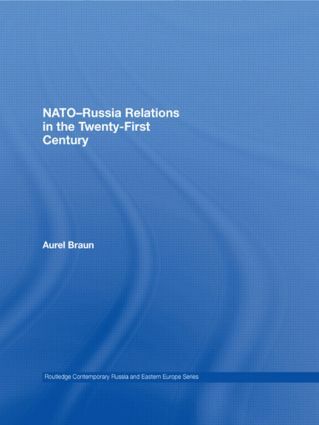 This book examines the current state of relations between NATO and Russia, examining a number of key areas, and assesses the prospects for future development. It concludes that all parties have a powerful interest in building and maintaining security, and that the growth of the zone of democracy holds out the best hope for solving some of Russia’s most seminal security concerns. Can Russia be a partner for NATO in the Middle East?